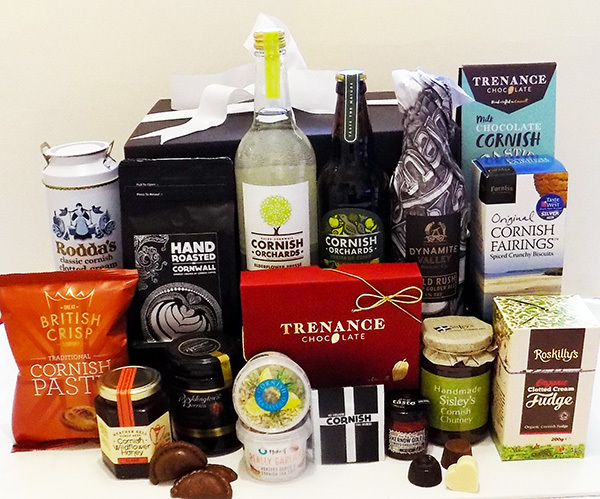 You will surely find something for everyone to enjoy in our Cornwall One And All Hamper! A super gift for the whole family, whether at home or at work! Sweet and savoury, indulgent and delicious,wonderful tastes and flavours from our very talented Cornish producers. The Cornwall One and All Hamper is carefully packed in a classic Cornish black gift box, decorated with a swirl of elegant white ribbon. Looking just like a Cornish St Piran flag packed with delicious surprises! A hand written Cornish themed greetings card is included for your own personal message.